HP LaserJet Pro M201n is a monochrome (black-and-white) laser printer designed to work fast and with the security features of your data and documents. HP LaserJet Pro M201n can print documents at speeds up to 25 ppm (page per minute). You can also use this monochrome laser printer with multiple users, Desktop PC /, or other Notebook via Ethernet connection. HP LaserJet Pro M201n has a size of 379 x 364.9 x 251.4 mm and weighs 5.9 kg. This printer has a power-saving feature that can help you streamline routine spending in documentation needs. HP LaserJet Pro M201n works with a 750 MHz processor speed that makes it work fast to print as many files as you need. This monochrome laser printer can print documents at 25 ppm with quality 4800 x 600 dpi. To make it easier to access settings and menus, the HP LaserJet Pro M201n provides a 196 x 34 pixel LCD screen that features an intuitive standard interface and easy-to-understand functional instructions. HP LaserJet Pro M201n has a large enough tray capacity to accommodate 250 sheets of paper plus 10 sheets of special / priority paper. The paper type that can be used on this laser printer is A4; A5; A6; B5; Postcards; Envelopes (C5, DL, B5). In the purchase package you will get HP Black LaserJet Toner Cartridge which can be used to print documents up to 1500 sheets. If the cartridge is up, you can use original HP cartridge that is HP 83A Black Original LaserJet Toner Cartridge (CF283A) or HP 83X High Yield Black Original LaserJet Toner Cartridge (CF283X). The HP LaserJet Pro M201n is integrated with security features and easy-to-access settings so you do not have to worry about your valuable documents being damaged or having errors. This monochrome laser printer provides an Ethernet port that lets you connect these printers with many Desktop PCs or other Notebooks. There is also a Hi-Speed ​​USB 2.0 port for you to manage your printer and ink supplies through your Desktop PC or Notebook. HP LaserJet Pro M201n is not only designed to work fast but also efficient in the use of electrical power. This printer provides HP Auto-On / Auto-Off Technology features that can disable the printer when not in use. In addition there are features Instant-On Technology that can make the printer directly work even though the new activated. 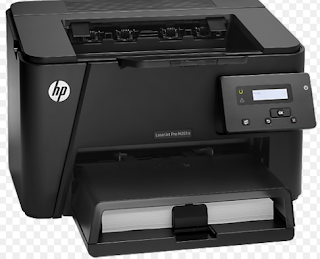 The HP LaserJet Pro M201n uses 450 watts of power for printing, 2.2 watts for stand by mode, 0.1 watts for sleep / Auto-Off mode, and 0.1 watts for Manual Off mode. Download HP Laserjet Pro M201n Driver For Windows 10, windows 8, windows 7 and Mac. This Wireless Black-and-White All-in-One Laser Printer delivers high volume printing and runs efficiently with this all-in-one printer that handles your printing, copying, scanning and faxing jobs for you. However, the step-by-step of the installation (and vice versa), it can be differed depend upon the platform or device that you use for the installation of HP laserjet Pro M201n.The above mentioned, the installation is occurred using Windows 7 and Mac for windows XP or windows 8 is not much different way.